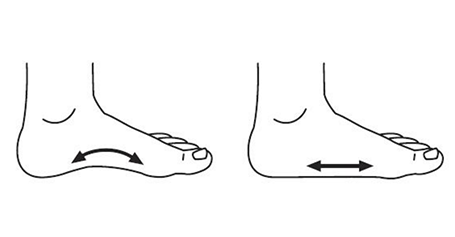 Flat Feet is a condition where the foot doesn’t have a normal arch. Most feet have an arch on the inside of the foot; however, some children may have flat feet, also known as fallen arches. Flat feet occur when the arch on the inside of the foot does not develop and the entire sole of the foot is touching the ground. It can affect one or both feet. 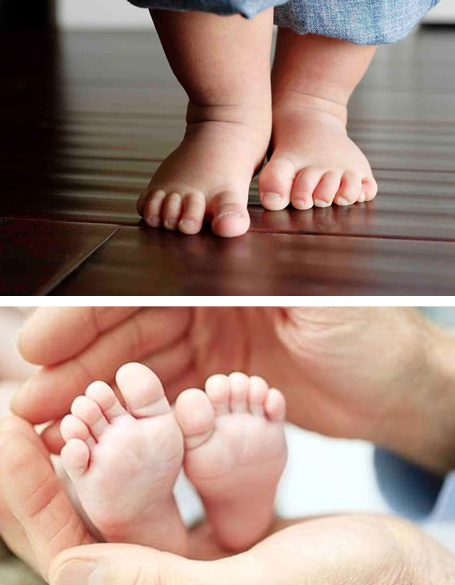 Babies and most toddlers appear to have flat feet due to their “baby fat” which disguises the developing arch. The arch on the inside of the foot may begin to develop at age 4 and should be developed by age 10. If your child is complaining of foot pain or ankle pain it’s best to take them to see a Podiatrist. At Children’s Podiatry Clinic we are able to assess your child and provide appropriate treatment options and advice.